It’s been such an amazing year. I competed in more events than any year before. I competed in a new style! I officially published the Solo Practice Guide, my first book in print. I won a World Championship title! I grew the Girl with the Tree Tattoo brand and partnered with other like-minded brands to spread the message that you can be a confident and joyful dancer as yourself. I bid farewell to the Silver level of American Smooth and headed off to new adventures in the Open division. But enough about me! Those dancers who joined me on the solo practice journey, from the first readers in the beta group to everyone else who purchased the Guide when it was the right time for them, have experienced just as much or more success. People have moved up levels, competed in new styles after mere weeks of practice, won competitions, found new faith and confidence in themselves, and gained clarity about who they are as dancers and what they want to accomplish. So freakin’ cool!! I’m sure I’m forgetting some things, but I’m honestly so proud of the ladies and gentlemen who took ownership of their dance journeys and are rocking those journeys. It can be scary to take ownership because that means taking responsibility. Honestly, it was just as scary for me to encourage others to take ownership. As I offer advice and guidance, I feel a level of responsibility toward the people who take it. Even if I’m sure it’s good advice, I’d feel terrible if it didn’t work out so well for the other dancer. I’d hate to learn that I steered someone in the wrong direction. That’s my demons talking, suggesting it’d be safer to not say anything and just do my own thing. If you put something out there, you risk someone not liking it. 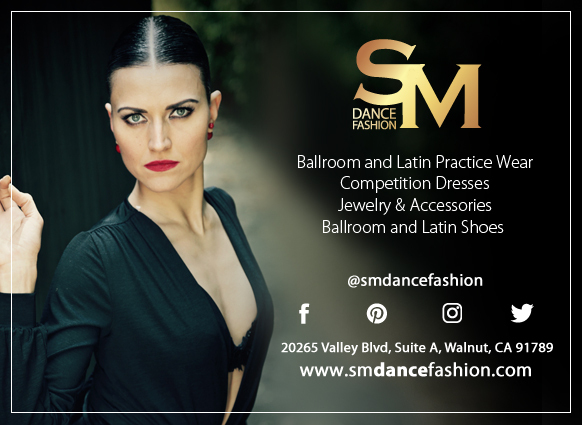 Over the past year, I’ve discovered that every challenge I’ve hit in growing my business as a writer has already been presented to me in some form in my journey as a ballroom dancer. The parallels have been fascinating. Putting myself out there in either field has been scary, but worth it. Standing up to be an example and inspiration to others wasn’t something I planned, until I realized the positive impact I could make. Then it was learning to trust myself enough to share what I knew to be true and could help others. Now, even as I continue to tell my branding coaches that I’m not a coach, my business is writing, I’m stepping up again to take on more of a leader/coach role in this tribe I’ve built. When it comes to solo practice, I’ve proved over the last year that I have something valuable to offer. Of course, I’m writing all this down for me. You guys just get to read what’s going through my head. It’s one of the things that makes me unique as a resource in the ballroom world – I’m still on this journey like you are. I’m still a pro-am student in ballroom. I’m still learning how to dance. I still fight doubts, fears and insecurities about myself and my talents and skills. I still have those tough moments when nothing seems to be going right and I seem to be going backwards, and I wonder, “what the hell was I thinking?” But then I remember and I figure out how to keep moving forward. Then I share that process with you so you can replicate it or adapt it to your own situation. The latest step on the Girl with the Tree Tattoo brand journey is a new website! As part of celebrating the anniversary of the creation of the beta group, I’ll be launching a new website on January 23 (this Wednesday). If you’re on the Solo Practice Guide mailing list, keep an eye on your email! Got something extra for you. Then follow me on social media the rest of the week to join the party. This is crazy, guys. I’m also coming up on the four-year anniversary of the Girl with the Tree Tattoo blog. Seven-year anniversary of being a blogger. I always wanted to earn a living from being a writer, but I admit I always pictured it like I’d send my books out to the world, people would buy them, and that would be it. You know, like the brilliant but eccentric author type. I’ll admit, some days I still wish I could just be that brilliant, eccentric author who could hole up with her puppies and just write undisturbed. But on all of the other days, I get to share in other dancers’ journeys, celebrate their triumphs and lend an ear when they’re struggling. I think I’ve said before that ballroom is all about connection. It’s so awesome that my writing has become another way for me to connect with other dancers. Thank YOU so much for supporting my journey here and allowing me to be a small part of yours. Happy anniversary!